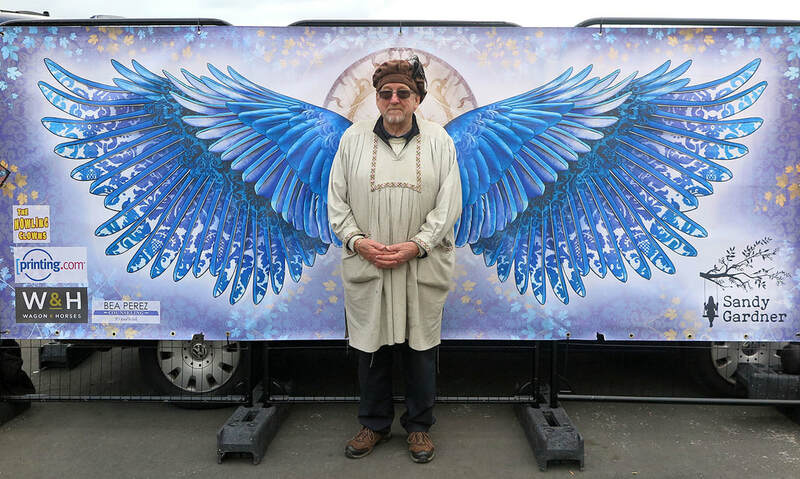 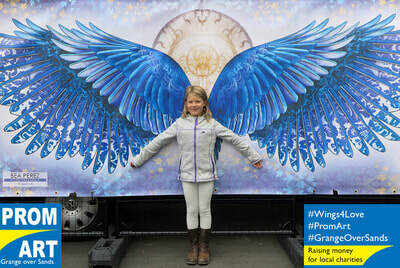 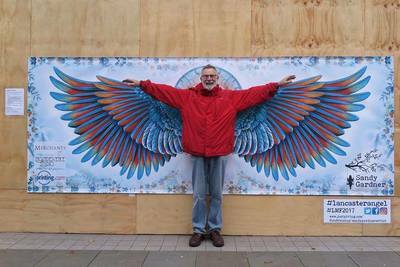 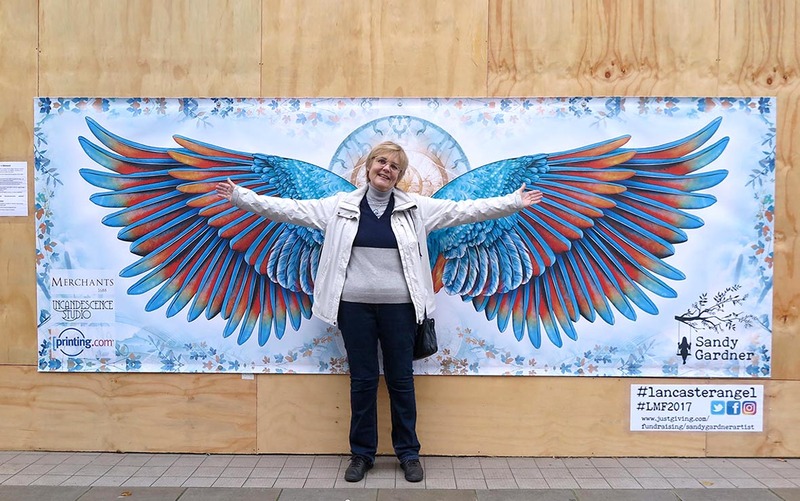 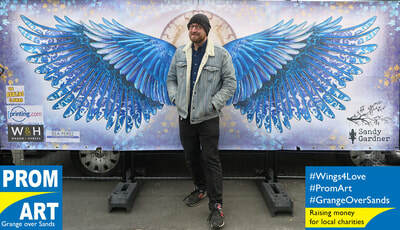 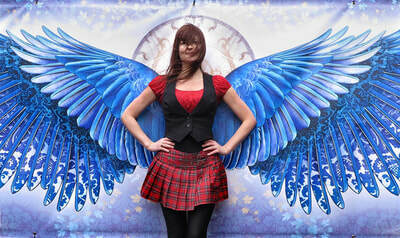 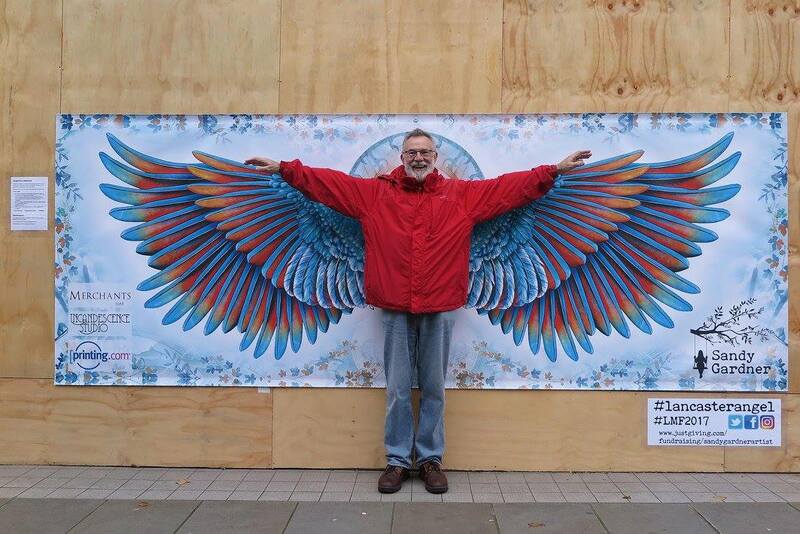 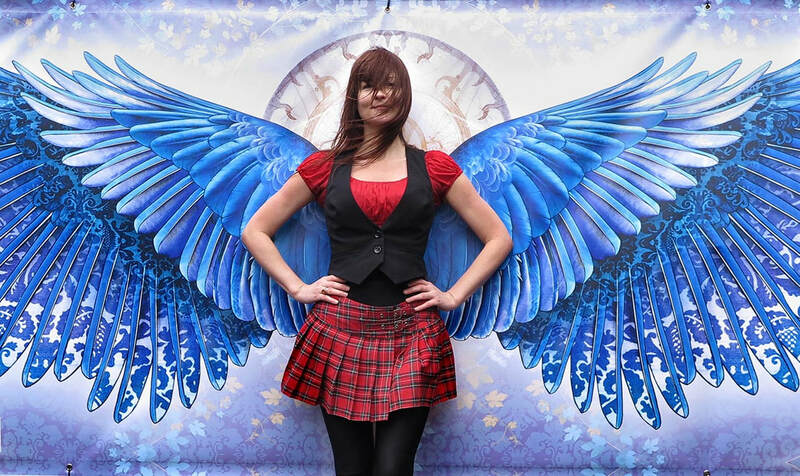 which you and your friends can take fun beautiful photographs of each other with wings. 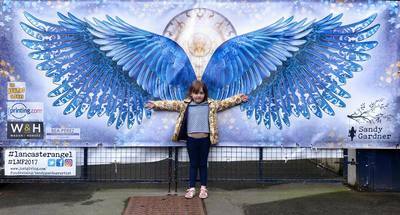 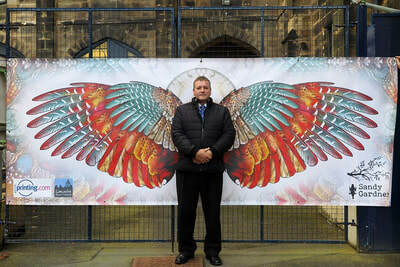 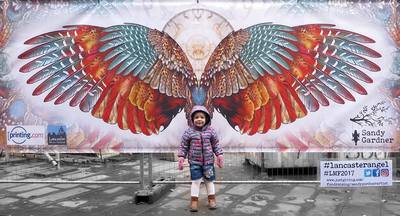 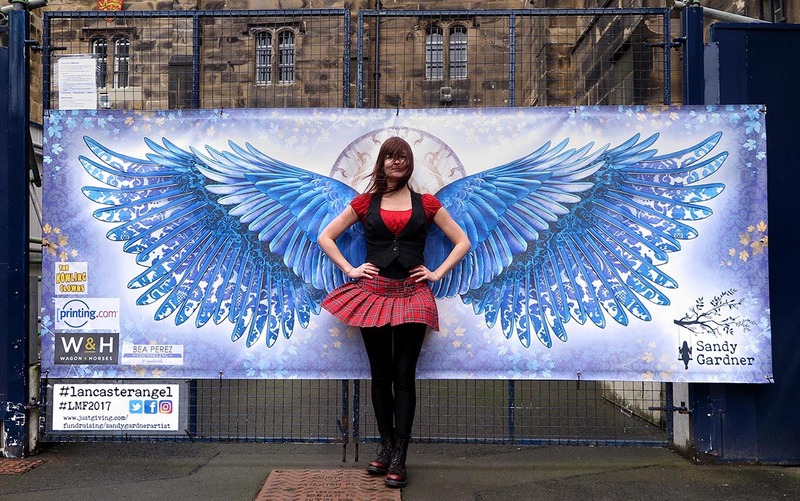 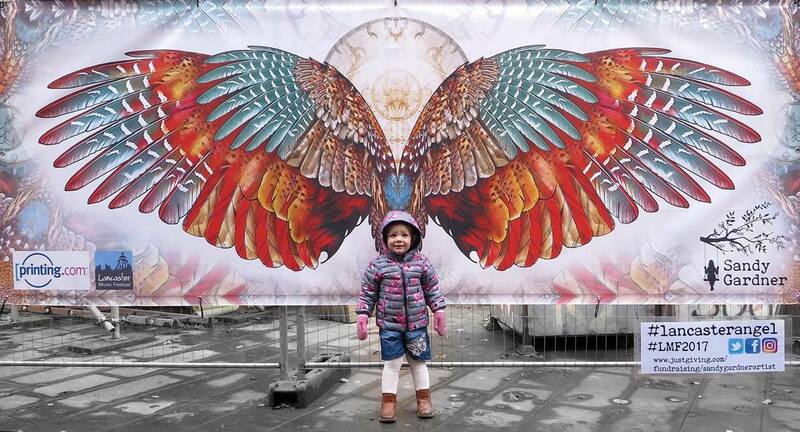 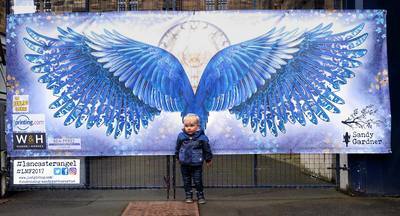 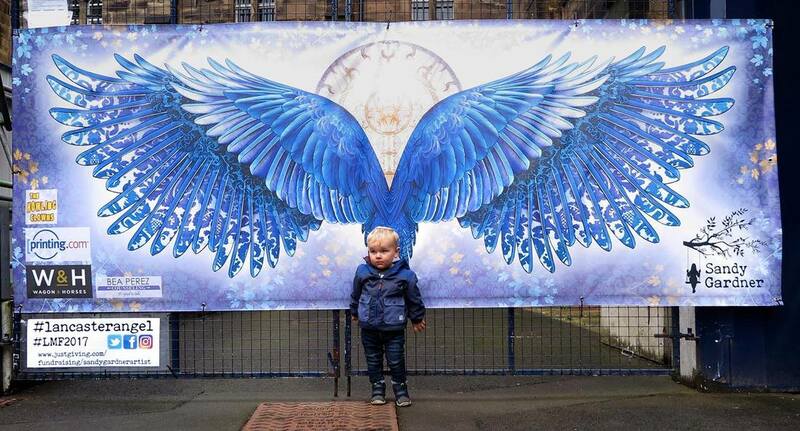 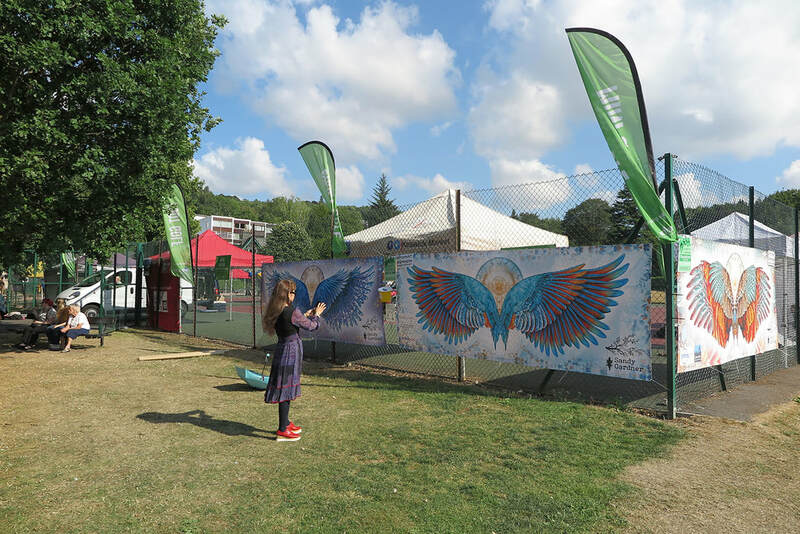 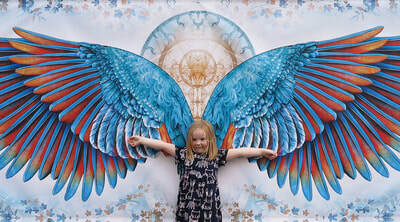 Each huge artwork is carefully designed to give a beautiful set of wings to small children or tall adults. 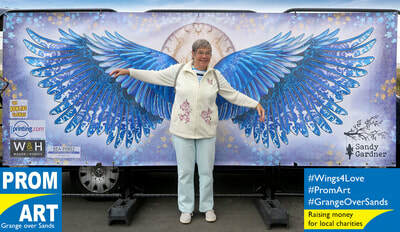 Everyone can be a super hero!! 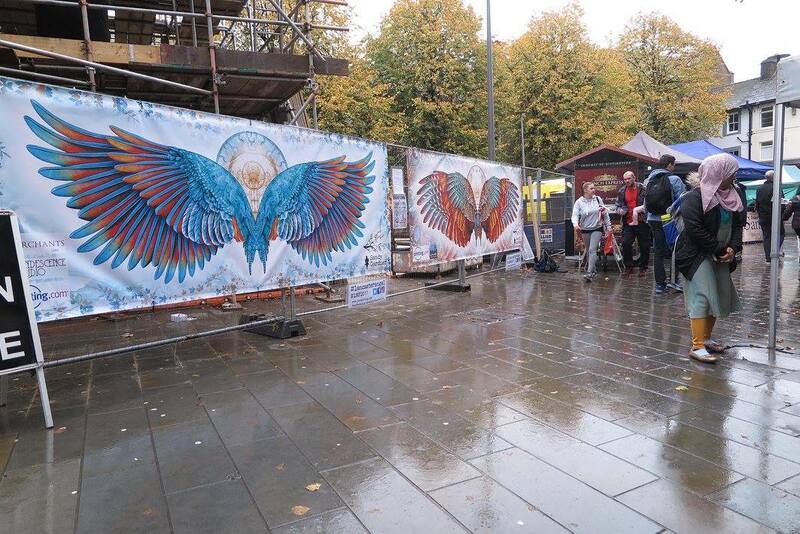 The works are waterproof and can be displayed inside or outside. Each design measures approx. 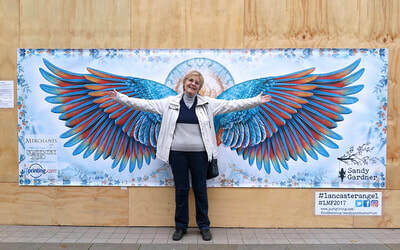 4m x 1.5m and need to be displayed at about 45cm from floor level. 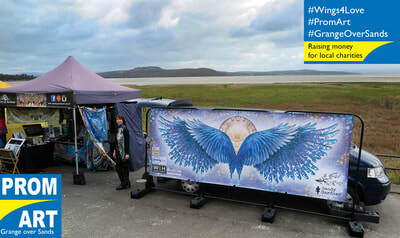 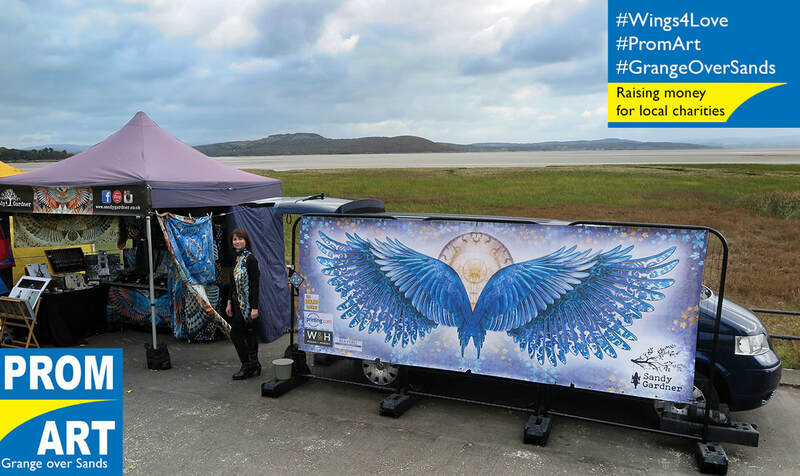 Each set of wings can can attach to a wall or marquee side or the wings can come with their own support frame. 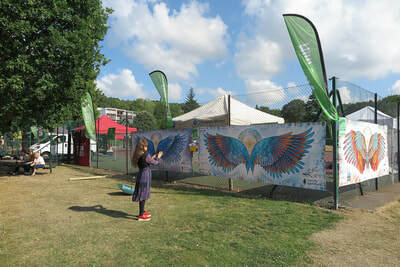 ​Please contact me to discuss hire of existing wings or to commission a artwork especially for your event, party or wedding.